The Meizu M2 Note is the next level in smartphone technology and this brand new model outperforms its predecessors in many aspects. The improved R-angle curve, an optimized camera and a brand-new mBack button, to name a few. All this makes strikingly better quality for young and for you. So what are you waiting for, purchase the Meizu M2 Note today! Made for the hip or the young at heart, the Meizu M2 Note sports a colourful style with a touch of metallic grey from the MX-series included. The design is meant for individuality and with elegance in mind. The phone weighs in only at 149g and the R-angle curved design makes it a joy to look at. The 5.5-inch 1080P full HD screen uses IGZO display technology to ensure consistent performance and low power consumption at every given moment. A pixel density of 403 PPI, 1,000:1 high contrast, and a brightness of 450cd/m2. All this delivers a superior viewing experience, even under strong outdoor lighting conditions. GFF full lamination technology minimizes reflection and improves display quality. Eight Cortex A53 cores intelligently allocates resources according to demand, this makes energy management more organised saving battery life and performing more efficiently. This makes the M2 Note perfect for any situation, whether you need for mobile game, or just simple email check. Besides that, the 64-bit Mali T720 triple-core GPU ensures smooth video playback. 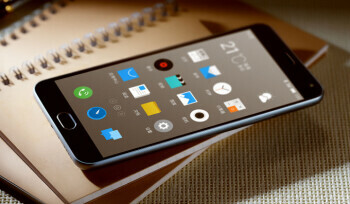 Purchase the Meizu M2 Note today! Blogger belakang rumah masuk paper..